We are a teacher-run, child-led community and apply Montessori principles within the National Early Childhood curriculum, Te-Whaariki, in a New Zealand context. Scuola Montessori, offer a well-balanced Early Childhood Education programme using the Montessori Method of teaching which provides for the whole development of the child and respects their emotional, spiritual, physical and moral development. Maximum involvement between home and pre-school is always encouraged. Our Children work co-operatively in a mixed age setting where values of respect and independence are cultivated. 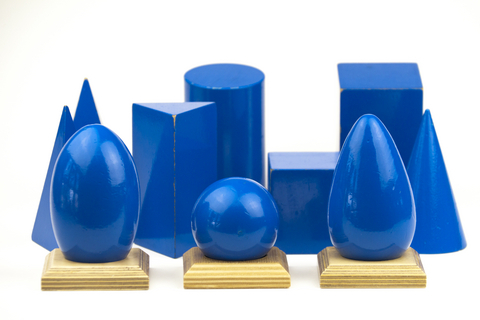 Children develop tools for learning and master academic skills. 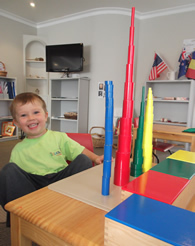 They learn to concentrate, self-initiate, problem solve and organise themselves. 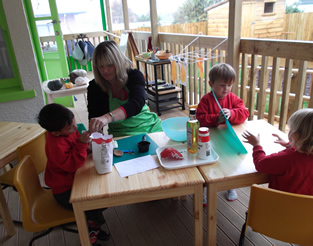 We provide a structured learning environment- prepared into four general areas- the areas focus on: Practical Life, The Five Senses, Language and Maths. We believe that the Montessori philosophy allows the best growth of social, physical and learning skills and that the outdoor environment is a vital part of every child’s learning, allowing the development of movement skills, observation, curiosity and exploration. We work in a close partnership with our parents, whanau and caregivers ensuring the best for our children. Our Children’s happiness and security is paramount, nurturing their true desires and enthusiasm to learn.